MAST Delegates – Earlybird registration closes soon! If you haven’t already booked your place at this June’s tenth anniversary MAST conference, you have less than two weeks to do so at our Earlybird rates. 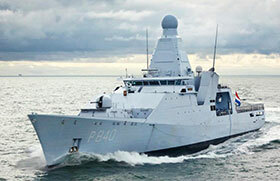 Book now and save up to £200 – not only will your accounts department love you, but you will also be prioritised for one of a limited number of invitations to the Chief of Navy’s reception on board Dutch OPV “HMS Holland” (Monday 20th June). Places for this exclusive function have already been allocated to confirmed VIPs, dignitaries, and the MAST TCC members from: Australia, Bahrain, Brazil, Canada, Chile, Denmark, France, Germany, India, Japan, Kuwait, Malaysia, Norway, Oman, Philippines, Poland, Qatar, Saudi Arabia, Singapore, South Korea, Sweden, Thailand, Turkey, UAE, UK, USA, Vietnam. NB: Authors are reminded that their day of presentation is free-of-charge, but are encouraged to stay additional days and take part in other conference sessions as a delegate.